Split seams on aluminum boats is a common problem. While many boat owners resort to temporary fixes such as epoxy, Super Alloy 5 is a permanent repair for aluminum boat seams. In this video, an aluminum boat with a separated seam is repaired quickly and easily, using Super Alloy 5 and an oxyacetylene torch. Oxyacetylene, oxy-MAPP gas, or oxy-propane is required for all aluminum boat repairs, as aluminum dissipates heat quickly. Super Alloy 5’s powder flux liquefies at 600 degrees, indicating that the parent metal has reached the proper working temperature to deposit the rod. 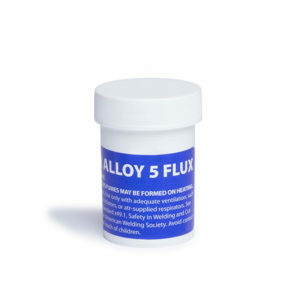 In addition to acting as an absolute temperature guide, the flux also removes surface contaminates, allowing the user to make repairs without pre-cleaning the parent metal–a technique superior to MIG and TIG applications. The procedure featured in this video can be used for many aluminum boat repairs: cracks, splits, holes, rivets, and areas worn thin by rocks and gravel–and can be used on all types of boats: aluminum pontoon boats, airboats, canoes, rafts, props and cast aluminum outboard motors.